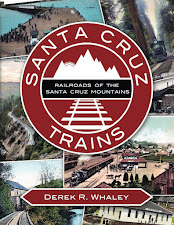 Throughout the sixty years that the railroad route over the Santa Cruz Mountains existed, picnic stops of all shapes and sizes were in high demand. 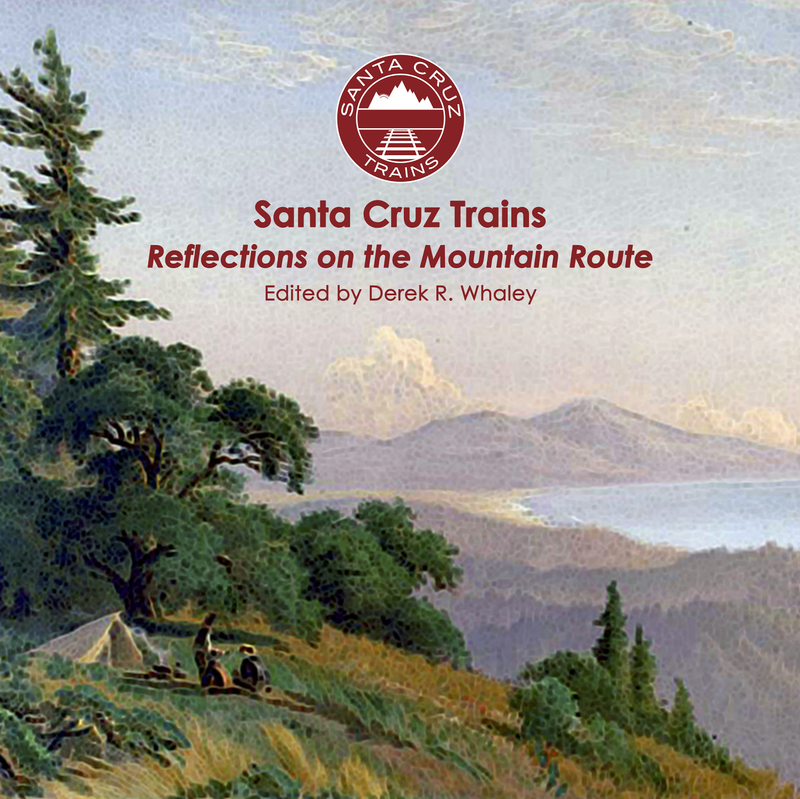 When the South Pacific Coast Railroad reached the sleepy hamlet of Los Gatos in 1878, it was their first opportunity to establish a small picnic stop in what could be considered the mountains. At first, there was no official park in Los Gatos. 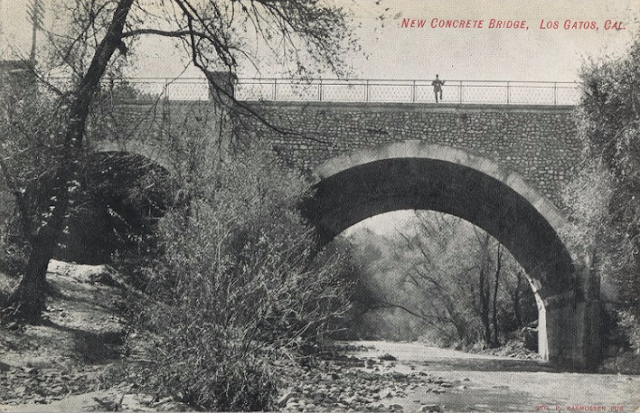 Vacationers likely wondered down from the station to Los Gatos Creek where a stretch of land south of the Main Street bridge sat vacant, urging people to wade into the creek or relax under the oak trees. reenactment at Bunker Hill Park, 1898. William Cadwell Shore changed all that. The 49er moved to Los Gatos in 1881 and founded the Union Ice Company three years later just beyond the end of the freight depot in town. One of his earliest purchases, though, was the vacant lot beside the creek. The location quickly picked up the title Grove Park, a name probably used before he purchased it to refer to the groves of oak and sycamore trees on the site. It had no known amenities. Whether Shore charged an entry or usage fee for the park is unknown. 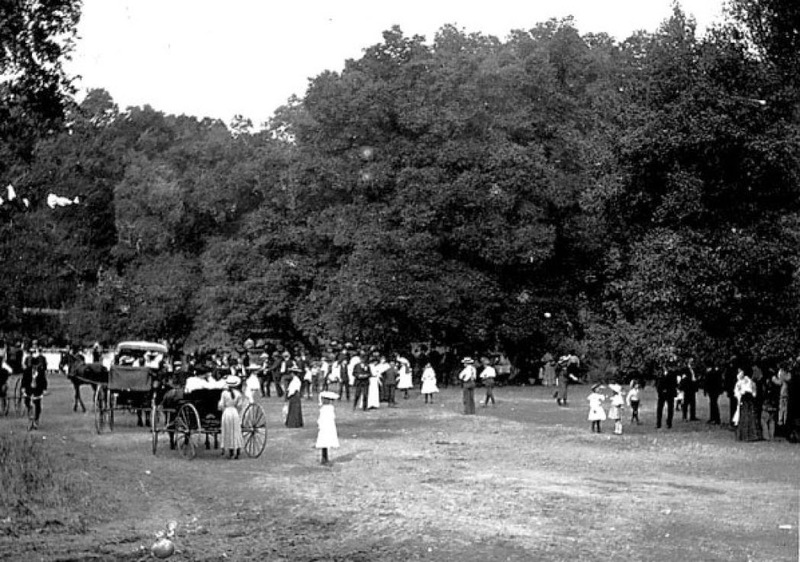 Over the course of the 1880s, Grove Park became a popular destination—not so far out of San Francisco that vacationers couldn't return, but far enough away that they could enjoy their holiday in peace. It was also here that the railroad likely first encountered drunk revelers, a trend that would become worse in the subsequent decade as picnic stops moved deeper into the mountains and away from population centers. The park was not only popular with railroad passengers, but with locals too. Schoolchildren from the nearby grammar and high school would walk to the park by passing under the Main Street bridge that connected east and west Los Gatos. The railroading history of the park ended in roughly 1887, when Los Gatos Creek went dry and the Southern Pacific Railroad, which purchased the South Pacific Coast that year, decided to move to a newer, more spacious picnic area further to the south at Forest Grove (later Eva). Nonetheless, some excursion trains undoubtedly continued to patronize Grove Park until January 1896, when the railroad opened the entirely new and purpose-built Sunset Park just outside Wright. With the loss of railroad patronage to the park, Los Gatos could look at the former picnic stop in a new light. After some negotiations, Shore sold the property to the burgeoning town near the end of 1896 and on June 17, 1897, it was renamed Bunker Hill Park in memory of the Battle of Bunker Hill, the initial confrontation in the War for American Independence. That year, a large reenactment of the battle was fought and demonstrations of muskets and historical artifacts from the Revolutionary War were on display. The next year—and likely in later years—such reenactments on June 17 were repeated in honor of the war and in recognition of the park. 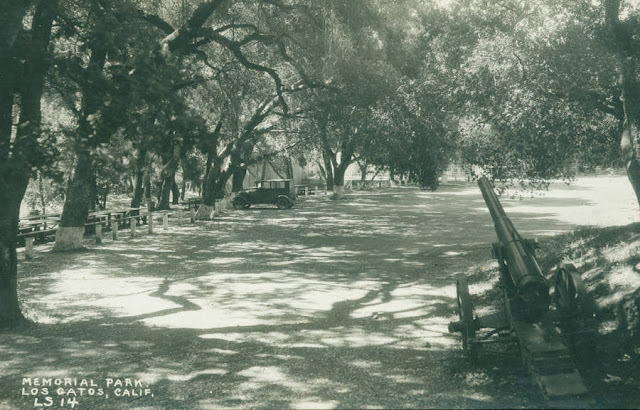 Over the following years, Bunker Hill Park remained a popular destination for picnickers not desiring to make the climb over the mountains to Santa Cruz. Due to its proximity to the town, it also was popular for corporate picnics. Among its amenities, the park included a dancing platform which could double as a skating rink, benches, large trees, and a seasonal swimming hole located just south of the park. It is unclear during this time whether the railroad actively encouraged or promoted use of the park, but that seems unlikely and use probably only came from local organizations who knew of the picnic grounds. The name Bunker Hill Park lasted less than 25 years. After the horrors of World War I, the park was converted into Memorial Park in 1920 to recognize those who died in the recent conflict. This also coincided with the donation by Raymond Hicks of a large parcel of adjacent land, which doubled the size of the original Shore property. By September 1910, another parcel was donated by J.D. Farwell, who had bought out Shore's remaining shares in the property many years earlier. Early the next year, another local, A.E. Falch, donated the land directly across the creek from the park, meaning the park now spanned both sides of Los Gatos Creek. In 1927, a large swimming pool was built on the south side of the park for locals to use. This was the maximum extent of the public space and it probably rarely catered to railroaders by this late date. Memorial Park survived the first expansion of State Route 17 in 1938 but it was directly in the path of the Santa Cruz Avenue diversion route proposed in 1956. In that year, the highway was extended down the center of Los Gatos Creek, with the creek redirected into a causeway and through culverts. The park could not be saved. The new road was installed directly atop the former park and the nearby Oak Meadow Park south of Vasona Reservoir was opened in April 1958 to replace what had been the town's primary municipal playground. Nothing survives of Grove Park or its successors except for a few isolated oak and sycamore trees behind the Los Gatos post office before State Route 17. The southern end of Park Avenue leads to the original outskirts of the park, but most of the property is under the highway, destroyed forever by the onslaught of the automobile. Beal, Richard A. Highway 17: The Road to Santa Cruz, 2nd ed. Aptos, CA: Pacific Group, 1991. Conaway Bergtold, Peggy. "Los Gatos History Timeline", Los Gatos Weekly-Times. http://www.mercurynews.com/ci_20835375/los-gatos-history-timeline. Accessed 8 May 2014. Conaway Bergtold, Peggy, and Stephanie Ross Mathews. Legendary Locals of Los Gatos Charleston, SC: Arcadia, 2014. MacGregor. Bruce, and Richard Truesdale. A Centennial: South Pacific Coast. Boulder, CO: Pruett, 1982. Mathews, Stephanie Ross. 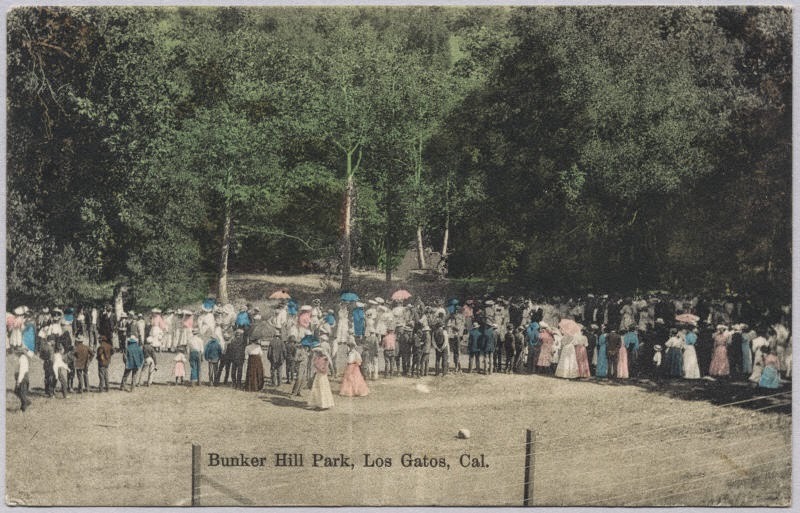 Postcard History Series: Los Gatos. Charleston, SC: Arcadia, 2009. Having lived in Monterey County I can remember palm trees planted at the sites of stations past and present - Pacific Grove, Monterey, Salinas, Gonzales, and many more. There were also the name changes away from the Mexican - Watsonville for Pajaro, Del Monte Junction for Castroville. Just a bunch of tricks, but some left a lasting presence; I like to spot the old landscape 'package' within some overgrown wasteland. Neither the Monterey or Pacific Grove depots had palm trees. Many other SP stations did, but not these two. The original name of the junction with the Monterey branch was Castroville, it was renamed to Del Monte junction in order to tie it with the Hotel Del Monte. Eventually, it was named back to Castroville. Pajaro was dropped because many passengers missed their stop when they heard the conductor announce "Pa-haro", and they did not realize that was their station of Pajaro. Watsonville was easier to understand. Thanks Dave. Good to know! Both Monterey and Pacific Grove depots actually appear pretty barren in most photos, largely because they had small yards associated with them. I had just read that Pajaro story recently but it still makes me chuckle. Apparently most East Coasters pronounced it Pah-jah-roo. Spanish/Mexican food clearly had not saturated the East Coast markets yet. Too bad it remained Watsonville Junction—most people probably can guess Pajaro better now and no passenger trains stop at Wat. Jct. anyway these days (heck, they even removed the station!). Thank you for the correction. My memory had palm trees along the beach between the Monterey Station and the bath-house area, I also thought that the PG station was a little farther east - nearer to 17th Street and what is now known as Chase Park, which featured palms(? ).